Thoroughly updated to include the latest developments in the field, this classic text on finite-difference and finite-volume computational methods maintains the fundamental concepts covered in the first edition. 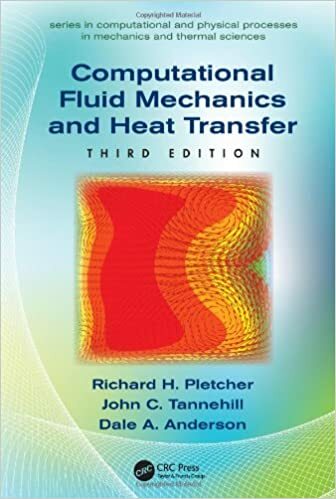 As an introductory text for advanced undergraduates and first-year graduate students, Computational Fluid Mechanics and Heat Transfer, Third Edition provides the background necessary for solving complex problems in fluid mechanics and heat transfer. Divided into two parts, the book first lays the groundwork for the essential concepts preceding the fluids equations in the second part. It includes expanded coverage of turbulence and large-eddy simulation (LES) and additional material included on detached-eddy simulation (DES) and direct numerical simulation (DNS). Designed as a valuable resource for practitioners and students, new homework problems have been added to further enhance the student’s understanding of the fundamentals and applications.